The visit with Dr. Carlini was great, and we did not go back right away because we were 35 mintues earlyfor our appointment. I would definitely recommend Dr. Carlini. The visit with Dr. Carlini was great, and we did not go back right away because we were 35 mintues early for our appointment. I would definitely recommend Dr. Carlini. 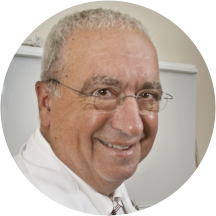 Dennis Carlini is a focused and compassionate orthopedic surgeon serving his patients in Lorton, Woodbridge, and Alexandria in Virginia, and in Waldorf and Clinton in Maryland. Dr. Carlini is certified by the American Board of Orthopaedic Surgeons and is currently a member of the American Medical Associated, the Medical Society of D.C., Prince George’s County Medical Society, and the Maryland Orthopedic Society. Dr. Carlini is currently practicing at Medstar Orthopaedic Institute alongside his talented cohort of doctors. Dr. Carlini performs orthopedic consultations and orthopedic follow-ups, and he welcomes patients to his practice who are experiencing sports injuries, ankle problems, herniated disks, and hip problems, among others. Dr. Carlini is affiliated with MedStar Southern Maryland Hospital Center and Sentara Northern Virginia Medical Center. Dr. Carlini earned his medical degree from Georgetown University Medical School. He then completed his residency at Georgetown University Hospital and served there as the assistant clinical professor. He is a great Dr!!!! The wait to see the Doctor was horrible. I spent close to 45 min just to sign in, they had kiosk but still had to fill out paperwork. Appointment was at 1:10pm but was not seen till 2:30pm. After the Doctorfinally came in he was very thorough an explained the procedure an made sure we understood. Dr. Carlini gives it to you straight up … I asked for some additional information on my shoulder condition and he gave me the specifics - a reality check … looking at shoulder replacement in several years - obviously not whatI wanted to hear but it's what I needed to hear. Dr. Carlini is very professional, and explains exactly what is going on and comes up with a solution and explains in detail. Very professional and very detail in explanation. Knows what he is doing and makes you comfortable no matter the diagnosis. Dr. Carlini was thorough in his approach to properly diagnose my condition. Furthermore, he actively listened and engaged me conversation to understand what is required to ensure my overall wellness. Thank you Dr. Carlini! Dr. Carlini is wonderful. He explains the treatment and course of action plan thoroughly. I have been treated by Dr. Carlini for more than ten years. Dr. Carlini’s expertise and professionalism is unparalleled in today’s medical community. Moreover, I trust Dr. Carlini to listen to my concerns, do what is required to evaluate mymedical condition, and follow-up with the proper medical treatment to ensure full recovery or in some circumstances, provide continuous care and treatment. Knows his line of work very well. No fuss with him. Straight to the point. Really liked him. Dr. Carlini was very informative and patient for all the questions that I asked. Excellent. A Superb Professional who doesn't waste time. Understand that doctor is very busy and it's a stressful position, however individuals has different needs, it's not always the reason for our sickness, it's also with personal connection besides the professional skill, overall great dr and office staff, right to the point. My visit, when I finally got in to see the doctor was fine. I arrived at 1:30 for a 1:45 appointment. I was not a new patient, and was only there for a consultation, yet had to complete a detailed patienthistory. I saw the doctor for 5 minutes tops, yet between waiting to go back to be seen, talking to nurse, waiting for the Dr. to come in & talking to the Dr. for 5 minutes, I left the bldg. at 3:30. Doubt you want to publish this. Very professional and willing to answer questions. Determined problem quickly and explained it simply. Very pleased. Dr. Carlini is very professional and I am glad that I chose him as my doctor. He is very caring and really helps you. Dr. Carlini is a fantastic surgeon. He did both of my knee replacements and did a fantastic job. I love him!!!!! He's pleasant, down to earth & gets down to business. I feel comfortable with him. An hour and half wait for 5 minutes with the doctor (just to get my RX renewed). Wouldn't it be possible for the office to call/e-mail when the doctor is behind schedule? Other medical offices do! The staff was pretty cool. Except for the girl that took my blood pressure. She seemed annoyed. The doc was a cool old dude though.. It went as well as could be expected. The doctor was extremely empathetic to my condition and knowledgable regarding the treatment needed to resolve my issue. I am very appreciative of his expertise! Many thanks! Visit was expedient and concise. He's competent and knowledgeable. Expert in his field! Dr. Carlini appears to be a knowledgeable doctor/surgeon but his bedside manner his horrible. When you ask him questions he acts if your are irritating him. I've waited in his waiting room on several occasions for more than an hour onlyto be rushed out of his examination room within minutes. I am only seeing him because he supports workers compensation. I would not recommend him to anyone. Dr. Carlini appears to be one of the best doctors in the area because of the two times I went, his waiting room was always packed and the wait times were too much. For my last appointment, I showed up 15minutes early for a 3:15pm appointment. By 5:10pm, I was STILL sitting in the lobby waiting. A two hour wait is unacceptable for anything. At the very least, they should let patients know when they check in that the doctor is running behind schedule so we can at least choose to wait or come in on a later date. I don't have a gripe with Dr. Carlini per se as he seems to know what he's doing, but because of the excessive wait times in his office, I doubt I'll be back. Doc was ok and the XRay tech was awesome... The front counter staff was cold and not very friendly. Love Dr. Carlini! I have been seeing him since I was 13 years old and I am now 24! The best part, people were not lined up waiting to get waited on. My first time meeting Dr. Carlini was a pleasant, he spoke directly to me and not at me and I understood everything he explain to me. His officeis nice, efficient and they have the update technology. Timely, informative, but a bit abrupt. Support/tech staff were superb. Friendly and to the point. Comfortable. He's great! Second time I've been to him. Quick and accurate diagnosis. Professional staff with excellent customer service. Dr. Carlini diaganosed my problem immediately and had a plan of care in minutes. So Thankful I went to him! He seems to know his practice well, but of coarse you can tell me anything and I will believe it. I will give him a 5 out of 10 now. But if he fixes my shoulder pain then he gets a 10 easily. If not, lets see why first. Not the greatest news but no hesitation that he'll take care of it just fine!! This was a follow-up visit to review an MRI that had been done and to determine a course of treatment based on that. The wait time was really short (which is nice considering it was Friday afternoon). The diagnosis was thebest possible I could hope for and the course of treatment is heavily based on physical therapy, which I'm really happy about. Highly recommend this doctor! Very efficient and certain of the diagnosis. Ordered follow up testing to confirm but laid out what the treatment plan would likely be. Love it when a doctor is straightfoward and to the point. He's been my doctor for almost 20 years. He's the best ortho I know. Very professional, great bedside manner. Highly recommend. It is a very well run office. I actually went to the wrong place and when I realized the office was a few miles away I called. The call center wait is a bit of a pain, but when connected tothe proper office they were very accommodating. The new patient check in takes a bit of time so you should allow for that. It's much easier to make an appointment on ZocDoc than to go through the call center. Dr. Carlini is very professional and pretty much nailed the diagnosis from my description of what was going on. I felt like Dr. Carlini was very belittling to me, the office didn't have my records, and I felt like I was being talked down to because when asked about my referral and then told they didn't have the referral formy back when I know they did because he sent me for treatment at another specialist for my back and that would not have happen if they did not have that referral first. I was at my appointment 30 mins early and it took them 45 mins past my appointment to be seen only to be treated in that manner, I have seen Dr, Carlini for several things and have never been treated so badly. I know we all have bad days but that was very unprofessional. Only the front desk staff were friendly. The nurse practioner saw me first and ber bedside manner was horrible. I had 3 pain issues (2 very closely related) and she rudely said "Pick one. We can't address all of your issuestoday." During the intake process I was able to list multiple issues so, not addressing them during the same appointment appeared to be a way to collect multiple co-pays. When she left the office to get Dr. Carlini, I could overhear her complaining to the other staff about my multiple symptoms. Dr. Carlini entered and his bedside manner wasn't much better. He greeted me with a dry, monotone "hey", couldn't operate the computer to pull up my x-rays and rudely said to the staff person that came in to assist him "I need someome to show me how to work this thing. I'm tired of asking for help every time I need it". A "thank you" to his staff member probably would've been more appropriate and professional in front of a patient or otherwise. After an unsatisfactory experience in the office, I went to the pharmacy to pick-up my prescription (that the nurse practioner told me she sent over) only to find that she never sent it. I called the office back and had to leave a message and never got a return call. There are lots of doctors to choose from and clearly this office has forgotten about that fact. Choose a other doctor if you can. No one should have to tolerate rudeness and unprofessionalism when paying for a service. Long wait, however, good advice. I liked his approach to my problem. He did not try to talk me into surgery right away, preferring to use other options. Very pleased with the care I received.